A pack of 25 eco-friendly dishwasher tablets made with a plant-based, cruelty free formula. The tablets have a soluble wrapper to reduce the amount of mess and waste. With a powerful cleaning action, built-in rinse aid and a degreasing agents, these vegan friendly dishwasher tablets will leave dishes and glasses sparking clean. The dishwasher tablets are biodegradable and suitable for septic tanks. Free from parabens, SLS, SLES, triclosan, phosphates and synthetic fragrances. Made with sustainable palm oil derivatives. Do not remove wrapper before putting in to the dispenser. 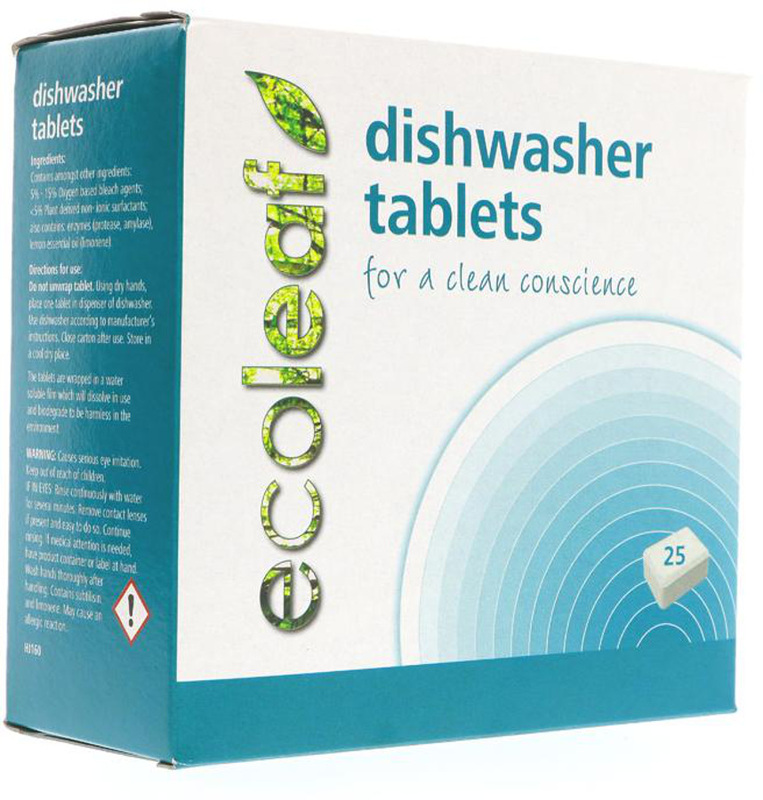 The Ecoleaf Dishwasher Tablets - 25 Tablets product ethics are indicated below. To learn more about these product ethics and to see related products, follow the links below. Work perfectly! Not a lot more expensive than my usual brand either. I'll be repeat purchasing, for sure. These are actually really really good, I use my DW a lot, I have a lot of animals, dishes shared need to be clean, these are fab BUT please why the plastic coating? I was surprised at how good these were - the first 'Eco' tablets I've used for years Fter normal supermarket type . I will now continue to use these ! 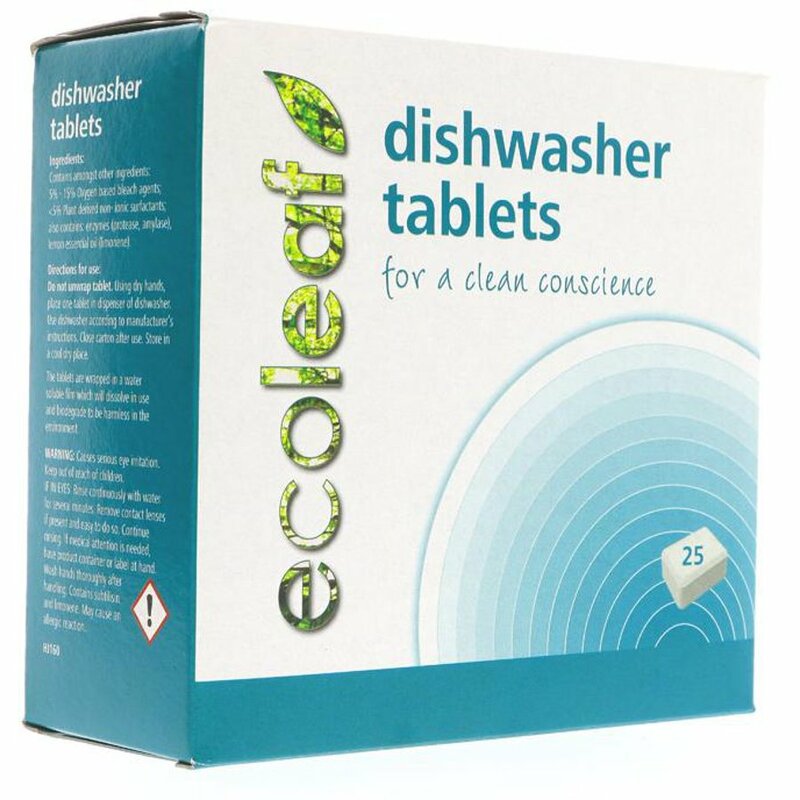 There are currently no questions to display about Ecoleaf Dishwasher Tablets - 25 Tablets.